In my year of having it, I only made nine videos, covering seven different demos. The motion sickness I would experience would sometimes be so severe that I wouldn't feel normal until a couple of days later. 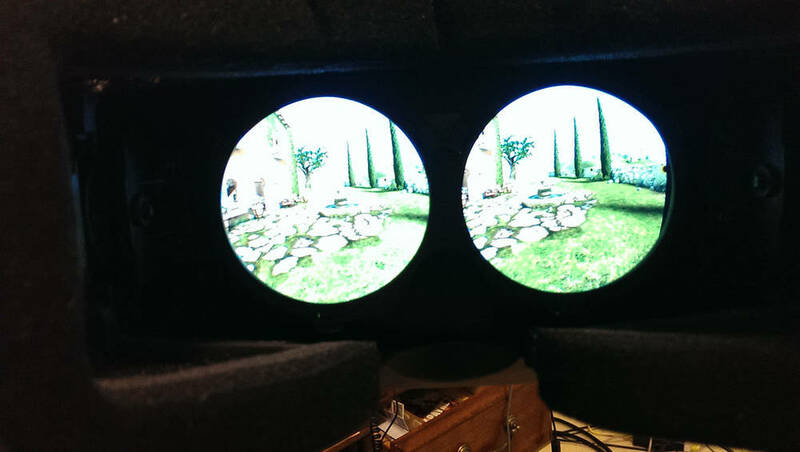 I have ordered the Oculus Rift Development Kit 2 and am hoping it resolves such problems. I hear that it has and expect delivery of my unit soon, barring any production issues. In the mean time, I'm going to do what I physically can to cover as many DK1 demos as possible. Not only to feel justified in my purchase of the device in the first place, but also so I can better appreciate the improvements of the DK2. Videos can be easily accessed through my dedicated Oculus Rift page. Oh, one more thing. The fake project name I created to access the Oculus Rift Developer Center was "Attack on Fluffy Booty". It was the first thing that came to mind. I was reading a lot of hype about Attack on Titan at the time. "Please don't attack my fluffy booty."